STC participated in 33rd Radiology Society of Pakistan Conference and successfully managed STC / GE workshop for Diagnostic Imaging and Ultrasound Modalities at Movenpick. 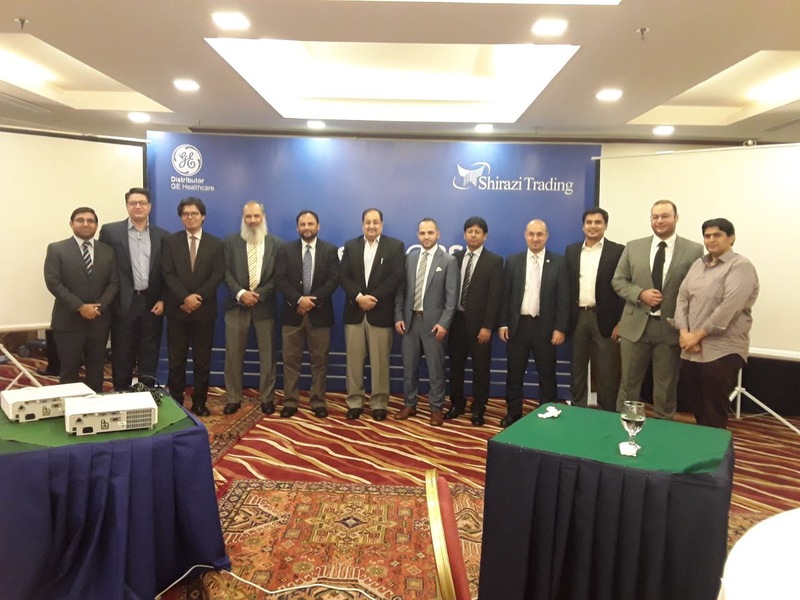 Shirazi Trading Company got 3rd position on criteria of booth Design, Educational & Technical Capabilities and Customer HandlingSTC participated in 33rd Radiology Society of Pakistan Conference and successfully managed STC / GE workshop for Diagnostic Imaging and Ultrasound Modalities at Movenpick. Shirazi Trading Company got 3rd position on criteria of booth Design, Educational & Technical Capabilities and Customer Handling. STC has been awarded the Canon Daruma Award in Singapore at the Annual Conference on Exceeding Canon’s Annual Targets FY 2016, the award was presented by the Senior GM Canon, award was received by Head of BS, and GDT witnessed the memorable event. 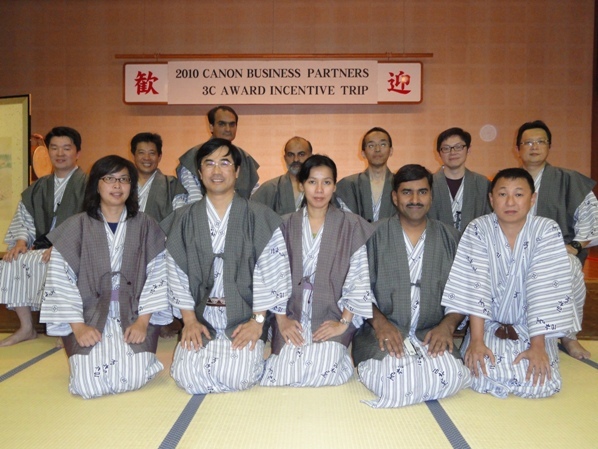 Canon Singapore Pte Ltd. declared Shirazi Trading as Champion on achieving highest growth in sales for 2010 amongst all Canon Business Partners of the region and announced an incentive on this achievement. The incentive was a pleasure trip for 3 persons, to Koyoto-Kinosaki-Kobe in Osaka, Japan with all expenses paid,from 7th to 14th of October, 2011. The Management nominated Mr. Syed Haider Raza, Sales Executive Islamabad (overall highest achiever during the period), Mr. Azar Ali, Branch Manager-Islamabad(highest achiever branch) and Mr. Tanveer A. Malik, General Manager Business Solutions & Service for this trip. It is indeed an honor for all of us that STC has won Champions Award for 2010 amongst all the regional partners of Canon. 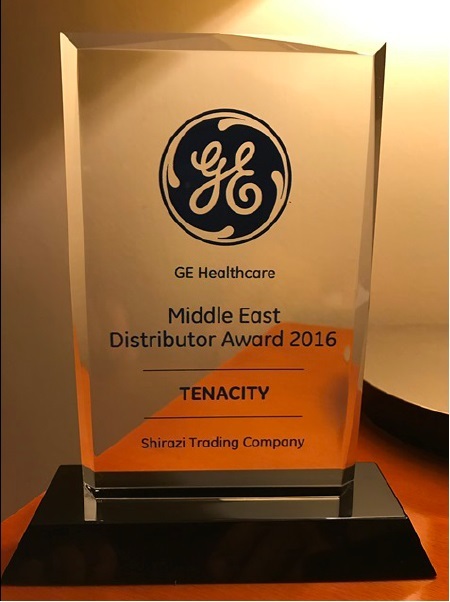 The Management and staff of Shirazi Trading congratulate the recipients and wish other team members of STC to make their efforts in a way to maintain this position and keep their company on the top.